Hulu broke into the top-three most watched video sites in March, with 380 million videos viewed, thus capturing 2.6 percent of the U.S. market. comScore Video Metrix finds users in the USA viewed 14.5 billion videos online in March, an 11 percent increase over February. Google sites remain the top video destinations in the country, with 5.9 billion videos viewed (40.9 percent market share). In March, YouTube accounted for over 99 percent of all Google video viewed. Google also again soared over 100 million online video viewers, a threshold it crossed last December. Fox Interactive ranked second with 55.2 million viewers, followed by Yahoo! Sites (42.5 million), and Hulu (41.6 million). Can a new credit card defeat online card fraud? Make no doubt about it: the criminals are winning the war when it comes to online fraud. This is one fight that isn’t even close. 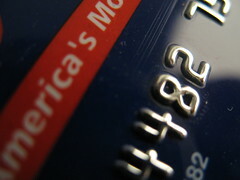 From credit cards to identities, theft and fraud on the internet has been a boon to criminals of all shapes and sizes. WooMe is the latest upstart to take on the web dating establishment, launching out of beta last week. Backed by European VCs Niklas Zennström, Janus Friis and Klaus Hommels, it enables speed daters to interact via in-browser Flash video technology, then charges them to contact each other if they are ‘woo’d’. It has competition in the form of SpeedDate.com, among others, but says it is also being used for a range of non romance-related tasks. It has also been approached by firms that want to use its technology in HR, internal comms and elsewhere. We had a quick chat with founder and CEO Stephen Stokols about its plans for the future. We’ve just launched our 2009 Breakfast Briefing sessions which aim to give digital marketers a quick digital boost before the day starts. The short sessions start at 8.30am and finish at 10.15am and are intentionally designed to give quick actionable tips that you can return to the office and actually action straight away. yet most businesses are missing the opportunity to do so.